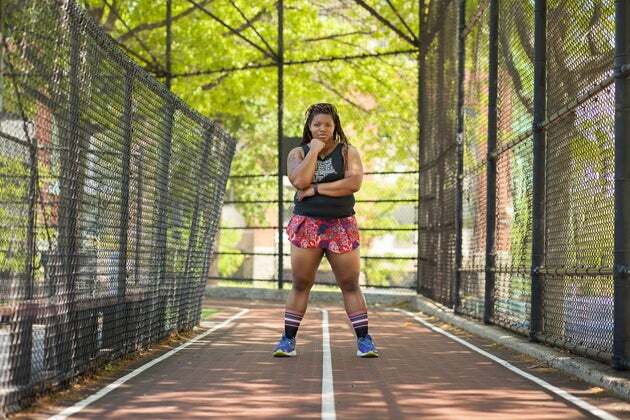 4 amazing athletes are setting out to change the public's perception of plus-size. When most people imagine a runner’s body, they don’t necessarily think of a physique with a little extra padding. 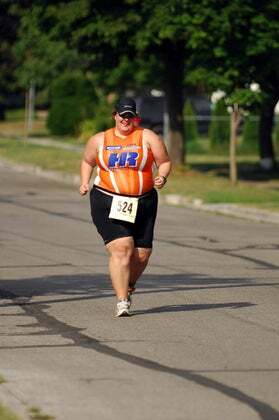 Athletes, whether they run a marathon, power walk a 5K, or endure an Ironman, come in all shapes and sizes. Who you are should not limit what you do. Size shouldn’t matter. That is the message that many identifying as “plus-sized” want to communicate. If you’ve ever seen a road race of any kind, every type of body will pass by. Some runners are tall. Some are short. Some thin, others not. 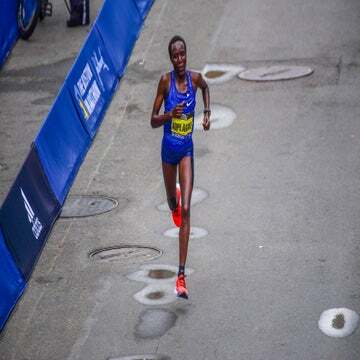 There are runners that have prosthetics. The great thing about running is anyone can do it, but not everyone has been spoken to when it comes to motivating runners of all looks to start. Louise Green, of Big Fit Girl fame who founded the athletic training facility Body Exchange in Vancouver, is considered the “go-to” motivational speaker for plus-sized athletes. She agreed with Snell that if you look around, you can find plus-sized athletes—men and women—just about anywhere. 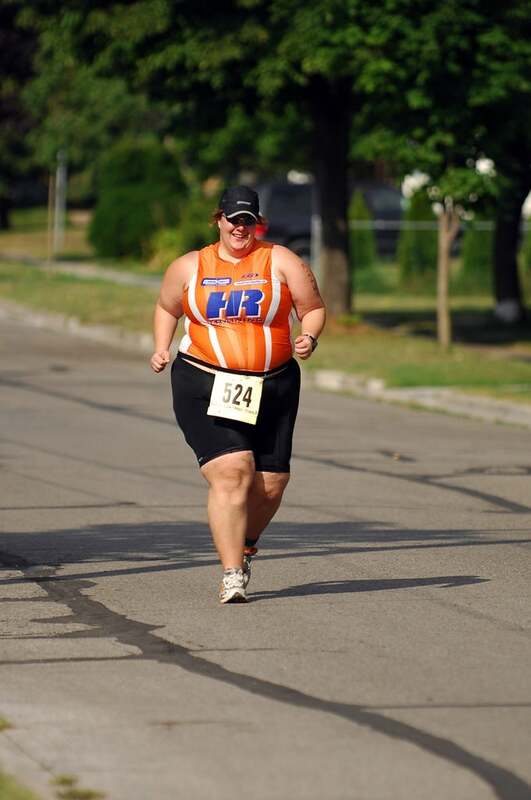 Krista Henderson, an award winning plus-sized athlete in triathlon and indoor rowing based in Toronto, founded her own web site, Born To Reign Athletics. It aims to educate, empower, and motivate other plus-sized athletes to cross their own finish lines. Anyone who regularly competes in a triathlon should be called a triathlete. So why do still we consider being fit and fat an oxymoron? Comments with a thin veil of concern are no better than the openly combative ones. (“You’d be so much prettier if you just lost a few pounds.”) It’s even worse when those types of comments come with an analytical approach of spouting statistics. But there are plenty of statistics to choose from. Just take the Centers for Disease Control and Prevention. A quick search brings up that more than one third (36.5 percent) of U.S. adults are obese. Obesity-related conditions include heart disease, diabetes, and certain types of cancer—all considered preventable. While this is true, it doesn’t mean the person standing next to you at the starting line has any of those ailments just because they wear a bigger size. 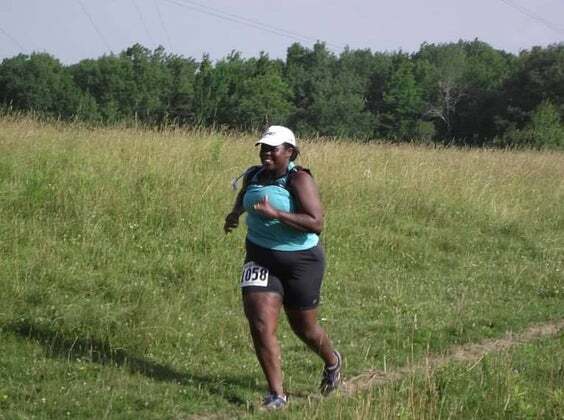 Mirna Valerio, who blogs on Fat Girl Running, has been featured in Runner’s World, NBC Nightly News and regularly contributes to Women’s Running. She loves trail running. Distance is her friend, as far as she’s concerned. It helps her block everything out so she can concentrate on the next step. The mileage drives her. Valerio was a high school athlete—field hockey and lacrosse were her favorite activities. In both of those sports, running was essential. She learned to love it and eventually bagged the sticks and stuck to the trails. But life events got in the way of regular exercise. She wasn’t eating well and gained weight. 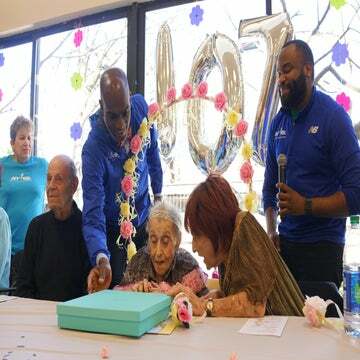 After a health scare in 2008, she knew it was time to get serious. She may have a few extra rolls, as she puts it, but she’s never felt better about herself or her health. Valerio even coaches the cross-country team at the Rabun Gap-Nacoochee School in Georgia, where she also teaches Spanish. Yet that doesn’t stop the naysayers. She recalled how some guy obtained her school email and sent a nasty message. He said she was a fraud to “bring people on this fake journey of fat acceptance” on her blog. She was admittedly taken aback. This guy didn’t even know her! A recently released combined study from the University of Connecticut, the University of Minnesota, Columbia University, Boston Children’s Hospital, and a handful of Harvard researchers found that people who are fat shamed as children grow up to be obese. When will we stop judging, start accepting and stop pointing finger at other peoples’ bodies?